Salute everywhere, lion dancing, fireworks sound ringing the sky. 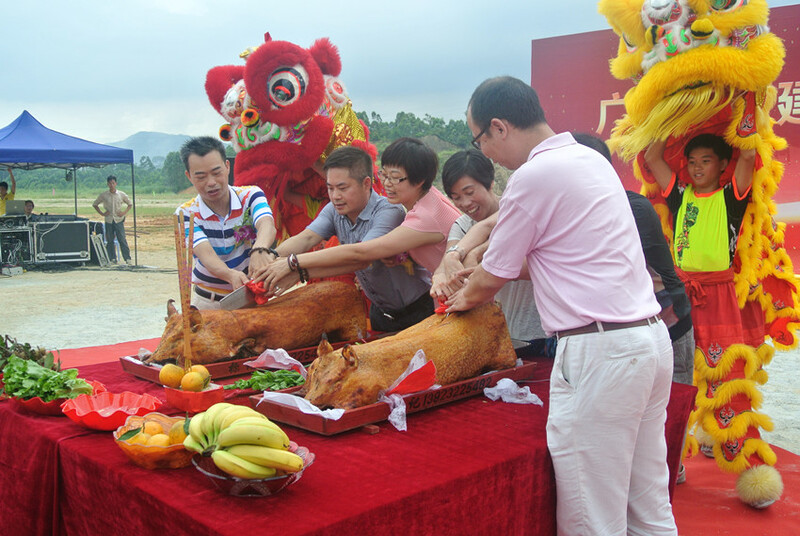 On 11th, July, 2014 at eleven o’clock, the groundbreaking ceremony of new industrial zone of Guangdong Swin Industrial Co., Ltd was held at Longkou town, Heshan, Jiangmen city. The municipal committee of Heshan City, Miss Lu Daiyun, the party secretary of Longkou Town, Mr. Chen Wen and the alcalde, Mr. Hu Weiguo. 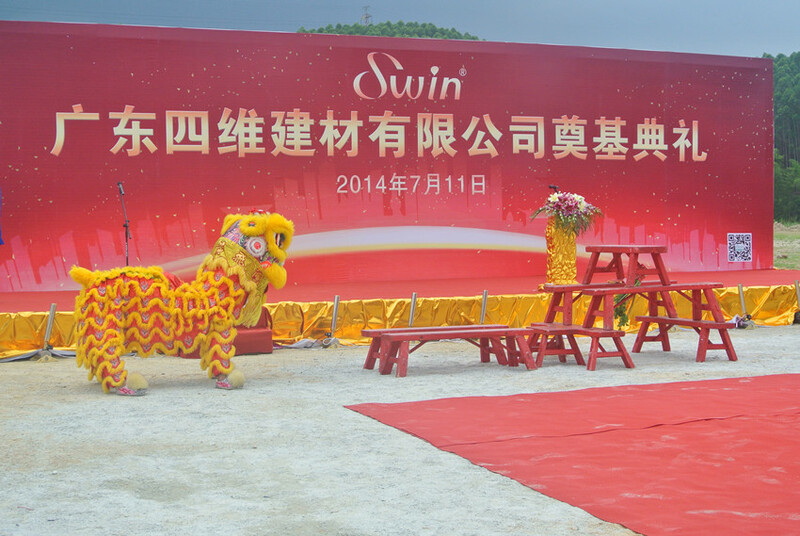 The partners of Swin company, the guests, friends and the managers of the company attended the ceremony. The total people reached more than 300 persons. They all witnessed this important moment as the milestone significance. At the ceremony, the chairman, Mr. Luo Guohui extended the gratitude and warm welcome to all the guests. For the leadership of Heshan City and Longkou Town government’s effort, Guangdong Swin Building Material Co., Ltd officially started. At the same time, Mr. Luo Guohui showed the prospect and development goals of the new industrial park. Soon afterwards, Miss Lu Daiyun, Mr. Chen Wen, Mr. Hu Weiguo and other government leaders made speeches. 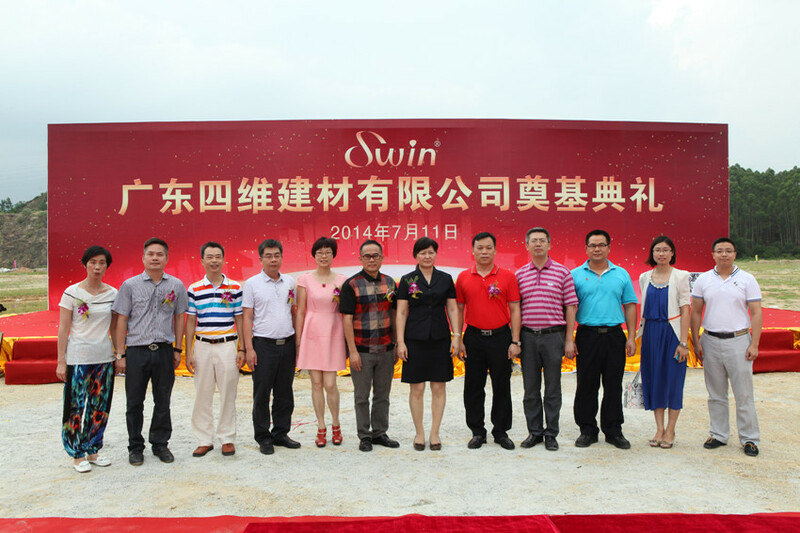 All of them congratulated the groundbreaking ceremony of Guangdong Swin Building Material Co., Ltd. The ceremony site was full of jollification and many fireworks in the sky. The groundbreaking ceremony finally brought to a successful close. The industrial zone covers an area of about 68 acres with a total investment of nearly 1.8 billion RMB. The construction of new factory will be carried out in two phases. The first phase of construction area is 36 thousand square meters and plan to produce products at the beginning of 2016. The first phase is mainly used in the production of various kinds of plastic municipal pipelines. After the completion, we expect the output will reach 450 million each year. Factory building will use the advanced development concept: it owns the rational layout and high standard construction requirement. It is going to build a set of ecological energy saving, environmental protection and intelligent automation industry base. 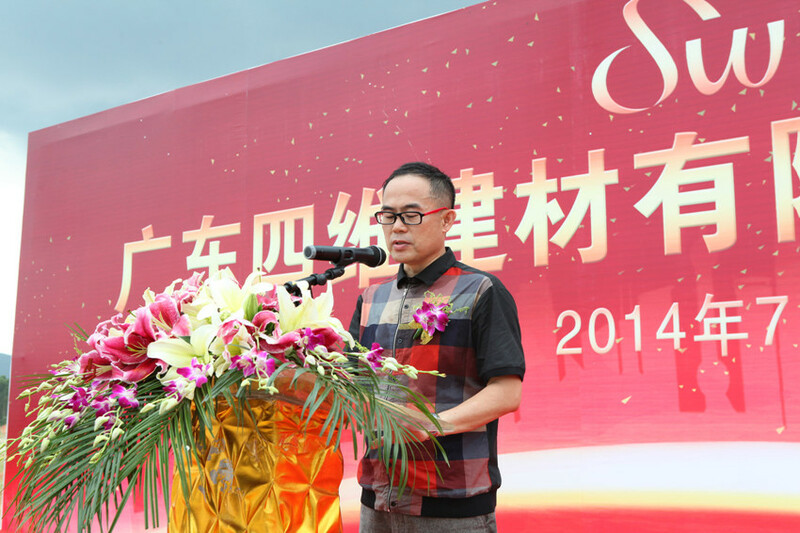 Groundbreaking ceremony reflects the Guangdong Swin Industrial Co., Ltd will add the new blood into it. In the meantime, the company has entered a new stage of development. With this hope, Guangdong Swin Industrial Co., Ltd will be even more brilliant in the future.